We understand your business and take our responsibility towards it seriously. We understand the importance and criticality of the customers we serve and ensure that our work is done at a highest level. The level of compliance, quality, safety and efficiency have to be all maximised whilst balancing the demands of the global compliance bodies. 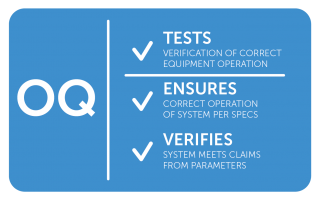 The validation phase is a critical and important dimension of quality assurance (QA). This provides the documented evidence that your processes, facilities and systems perform their intended functions as per established specifications. We ensure that the entire process cycle of the project is planned and a Validation Master Plan is provided to the customer. This Master Plan is the qualification and Validation Project. We also realise that the Product and Process is only part of the puzzle. The most important part is the people . The technical expertise utilised is from multiple disciplines-technology, data scientists, statistics, metrologists and engineers. We don’t stop there. We analyse in entirety what the results are, what the root cause could be and how we can prevent it in the future. We have a level of expertise in regulated environments related to equipments and GMPs of regulatory bodies. Our technicians and practitioners have the necessary skill and know-how. This coupled with our access to best in the market calibrated instruments along with a proven track record of validations performed for global and regional clients in various locations leads to us being the leaders in this field. If you have a new system, facility or need to do a scheduled periodic study, please get in touch with us. 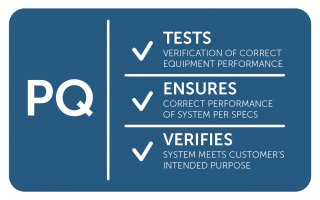 We create validations to meet your quality system and can follow your plans or write a specific protocol for you in your new environments. 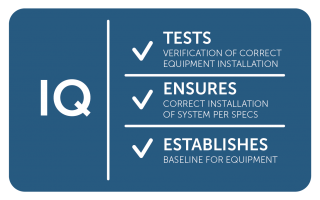 We will verify that your equipment has been properly installed and most importantly will work according to your required specifications. Our data scientists can also work to establish a baseline for the equipment and give you smart alerts based on your environment requirements. Ensuring that your equipment is operating appropriately within it’s outlined specifications and defined parameters. We will verify that your systems meets the claims from all parameters. Dubai Instruments (AH Group) will verify the performance of your equipment and ensure that its performing correctly. Your equipment is something you have invested in and you need to verify that it’s meeting your intended use. We will do that for you.